Barcelona, Feb 23 (IANS) In a first, Huawei has unveiled a technology that uses Artificial Intelligence-enabled smartphone to drive a car that can not only identify objects on the road but take smart decisions to avoid collisions or hitting someone. 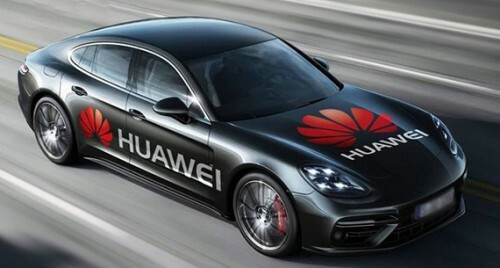 In a video released by the China-based technology giant, the driverless Porsche Panamera is controlled by Huawei's flagship "Mate 10 Pro" smartphone that can "understand its surroundings". "Our smartphone is already outstanding at object recognition. We wanted to see if in a short space of time we could teach it to not only drive a car, but to use its AI capabilities to see certain objects, and be taught to avoid them," said Andrew Garrihy, Chief Marketing Officer at Huawei Europe. According to a report in theinquirer.net on Friday, Huawei's 'RoadReader' project "pushed the boundaries of its object recognition technology and put the learning capabilities, speed and performance of its AI-powered devices to the test". The camera app on the "Mate 10 Pro" can tell the difference between food, pets, landscapes and more. Huawei will showcase its "RoadReader" project at the Mobile World Congress (MWC) in Barcelona, Spain on February 26-27.